In his post on cripple identity, William Peace talks about the fact that non-disabled bodies with their non-disabled functions are seen as the norm, and disabled people never fit in. As Peace gets older, he develops an increasingly carefree attitude regarding these ideas, thereby embracing life and his disabled identity in life. As I read Peace’s post, several points came to mind with regards to how his reasoning can be applied to those with cognitive disabilities or mental illness. He explicitly writes about walking as an overrated function, but what about such functions as speech, language or cognitive processes such as logical thinking and organizational skills? I am reminded of a discussion I had with my old psychologist when I had only been in my current institution for a short while. She was discussing the “can” vs. “can’t” attitude as presented by physical rehabilitaiton patients as well as the mentally ill. She tried to explain the importanc eof having a positive attitude towards learning practical skills such as cuttign up my food (which I am physically nable to do) and cleaning my room (which I am unable to do due to executive dysfunction). What she didn’t realize is that my refusal to learn these skills is only partly out of lack of self-efficacy (low self-esteem). It is more out of a feeling that these skills are not as important. I didn’t go hungry when I lived independently, and though my house did go dirty, if I lived with my husband, it wouldn’t be much harder for him to do most cleaning whether I lived there or not. In my opinion, self-regulation skills and self-directedness are much more important. I did, after all, end up in a psychiatric crisis when living on my own. As disabled people – and as abled people too, but they don’t seem to realize it -, we need to set priorities. I might’ve wanted to learn to cut up my food or clean my room, if I had the energy to do this amongst all the energy that it costs me to manage my anxiety, regulate my fluctuating emotions and basically stay as close as possible to mentally stable. Let me say this very bluntly: self-reliance is overrated. Self-determination is underrated. Too often, disabled people are trrained in the skills necessary to appear as non-disabled as possible. They are rarely trained in the skills necessariry for being as self-determined as possible. This goes especially for cognitively disabled and mentally ill people, who are still presumed to have a reduced capacity for self-direction. 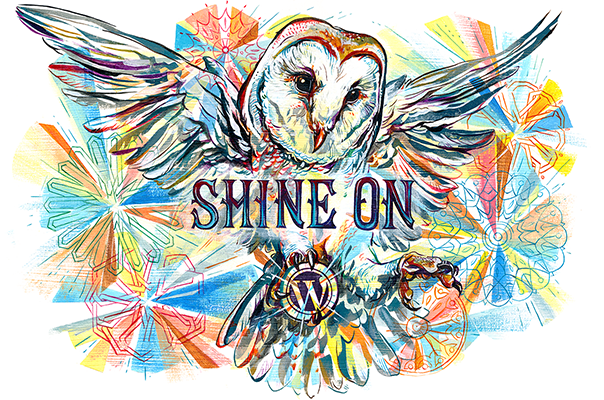 Even today’s psychiatric rehabilitation movement, with its focus on recovery groups, (ex-)patients as support workers, and the strengths method, still teaches that mentally ill people can live normal lives in spite of their mental illness. It does not teach that it is possible to live a normal live while embracing your mental illness, let alone that the entire idea of “normal” is hugely overrated. The recovery group I participated in in 2010 was groundbreaking in the respect that it consisted of institutionalized patients, some of whom (like myself) weren’t moving into less restrictive environments. Less restrictive. Boy, need I talk about that? Less restrictive should mean that a person has more choices over how they live their life, not that there is less support. In this respect, the physical disability movement has already paved the road with their independent living centers for example. Unfortunately, the law here in the Netherlands is not in favor of mentally ill and cognitively disabled people in search for self-determination, because, besides needing constant supervision, the only ground for long-term care with 24-hour availability is “severe self-direction problems”. Through the week-end blog hop over at Single Mother Ahoy!, I came across a post supporting Autism Speaks and debunking the argumetns people have against it. The first of these is that Autism Speaks has no autistic people on the committee. That doesn’t bother Melissa Hopper, the post author, presumably because she’s a parent. It does, however, bother me. Since every autism blog (and though I don’t really write an autism blog, I sometimes write about autism, so…) should have a post for or against Autism Speaks, here’s mine. It isn’t, by the way, directed just at Autism Speaks, but at every parent-run organization aimed to represent the entire community of people with a particular disability. Suppose, I wrote to Melissa, that your son were gay. Would you raise money for an organization that had only parents and families of gays on its committee? I realize that there are organizations like PFLAG (Parents and Friends of Lesbians and Gays), and Melissa might in this hypothetical scenairo want to join them. I mean, there’s nothign wrong with parents of children or teens or for that matter adults who are different wanting a place to be represented too. The thing with Autism Speaks and possibly other organizations is that 1. they pretty explicitly exclude autistics from the committee, and 2. they don’t support the inclusion or equality of autistics, choosing instead to support their eradication. Now I do realize that autism is a disability whereas homosexuality is not. People may disagree here, but I do see autism as a disability. However, that still doesn’t mean that social inclusion and equality shouldn’t b primary goals of an organization claiming to speak for that disability population, particularly since the majority of adults with this disability advocate this. Once Melissa’s son grows up, I asked her, does she want to be his representative for the rest of her life, or does she want him to be able to speak for himself? I am hoping for the latter, as most parents want their children to grow up to be able to speak for themselves. Now I can totally see why at age three Melissa’s son can’t speak for himself and he needs his mother to do so. I totally also see that right now the number of autistic children (who need their parents to speak for them) is greater than the number of autistic adults. In twenty years or so, this will not be the case anymore. And while there will still be autistic children, and hence the need for a parent organization, an autistic-run organization should have far more to say. And just for your information: there are already a number of adults who grew up with parents supporting the likes of Cure Autism Now, who are now old enough to speak for themselves and vehemently disagree with the cure position. Christine Motokane, whose book I reviewed on Wednesday, is one of them. In the Netherlands, there ae two organizations for the schizophrenia community. One, Anoiksis, is run by people with schizophrenia themselves, while the other, Ypsilon, is run by families. I can see why there’s a need for both, but they cooperate on some level. Same for the Dutch Autism Society and Persons on the Autistic Spectrum. (The Autism Society has autistic members, like myself, but I don’t know if they have anyone autistic on the committee.) Autism Speaks has never sought any form of cooperation with autistic-run organizations. It will never do so, because Autism Speaks advocates the eradication of autism rather than the equal rights of autistics. Now I do know there are autistic people who support Autism Speaks, and John Elder Robison used to be a token a =utistic for them. I don’t even have strong opinions against all of Autism Speaks’ positions – I used to read their blog and it wasn’t too bad. I also wouldn’t mind Autism Speaks existing if a major organization representing autistic people themselves were getting as much support. Like with the Anoiksis/Ypsilon thing, I can see the need for a parent organization. But Autism Speaks aims to speak for autistic people without having a single autistic person on the committee, without cooperating with autistic people, and without advancing the inclusion of autistic people. If just one of these were the problem, oh well, but now that all of them are, I have major concerns. Melissa’s son is just three. She doesn’t likely think of him representing himself. But he’ll eventually reach that point, and by that time, I can only hope he has his mother’s support rather than opposition. I’m feeling a little tense and wanting to write, but at the same time lacking inspiration. 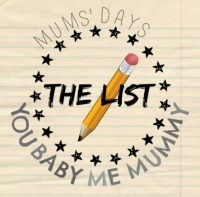 I thought therefore that I’d participate in #Thelist (formerly #Mumslist) again and wrap up my week. Had my last meeting with my now former psychologist. Haven’t yet gotten an appointment with the new one. At this last meeting, we discussed the paperwork to be sent to Leo Kanner House, a national autism agency, for a consultation. My psychologist read me the referral letter and sent me my current treatment plan for review. The treatment plan was okay, though I felt a little awkward about all the things I “can’t” or need help with. The one thing I disagreed with was the seclusion policy. It said that I could be asked to go into seclusion if I am a significant nuisance to others (eg. screaming, slamming doors, etc.). In reality, I usually ask for seclusion for my own safety when I’m having suicidal thoughts or self-harm issues. I asked my psychologist to bring policy in line with reality. Was at first stressed out because my named nurse said she’d asked my psychologist the same and then she’d refused. Thankfully, the psychologist sent me a nice E-mail saying more or less “sure, will do”. Had art therapy yesterday and finished making an art doll for a mixed media swap. It’s made out of mostly “useless” materials. I have to send it out one of these days as the deadline for getting it in my partner’s hands is October 1. No picture yet as my art therapist can’t access her E-mail. Focus more on exercise rather than mostly on eating, since I can’t seem to control my overeating. Ask the nurses for help more when I’m stressed instead of going on a food haul. Someone need to accompany me to the store anyway so I may be able to switch my request to go to the store and buy candy over to a request for help regulating my stress. Get weighed by the nurses once a month to make sure I’m keeping my weight stable. I’ll be weighed every first of the month so we have a base weight on Wednesday. Haven’t been blogging much and haven’t been content with my posts. Did read and write a review of Working the Double Shift by Christine Motokane. Am somewhat content with my review and as I said then, loved the book. I bought Working the Double Shift on Kobo about a month ago, but didn’t read much of it because I hadn’t installed Adobe Digital Editions on my new computer so had to get out my old one to read. A few days ago, I decided to see if the Digital Editions file was small enough that I could download it on my mobile Internet connection, and it was. I finished the book within a few days and have been fascinated by it. Working the Double Shift is a raw honest autobiography from a young woman with autism. Feeling that the current books on autism were not a fit for her, Christine decided to write a memoir covering different topics as well as the emotional process of a person with autism. The book covers her journey from birth to college and how she learned to find her voice and path in life as well as interventions and approaches that worked for her. This memoir also brings awareness to different social issues regarding autism and adulthood. 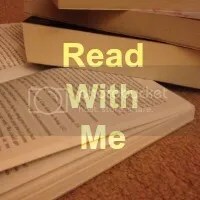 I’ve read a few books by adults with autism spectrum disorders, but all were diagnosed with Asperger’s Syndrome at an age I haven’t even reached yet. Christine Motokane was diagnosed with classic autism at age four. This does provide a different perspective, as she got intervention early on and didn’t have to go through life undiagnosed and unsupported. In this sense, I can to some extent relate, as I too got supports early on, albeit for my blindness. Motokane describes her school life really well. She describes her difficulty with transitions from elementary school up until college. She also describes her anxiety about even the utterance of the word “independence”. When speaking at a conference as a young adult, Motokane meets a professional who speaks about interdependence being more important than independence. This resonates with her and it does with me, too. Motokane’s anxiety about independence is shown through a variety of behaviors, such as her difficulty handling menstruation and her “immature” interests. I can relate to these. I find that finally this book clarifies that anxiety about independence is not necessarily about low self-esteem, but can also be related to fear of transitions. Throughout the book, Motokane talks about her sometimes unhealthy attachments to and relationships with various support people in her life, and her issues with making friends particularly in middle and high school. Her high school is public, but like mine, it was populated by upper-class kids. In addition, Motokane faces the challenge of being one of only a few Asian-Americans in a predominately White school. Then again, her race doesn’t seem to play an important role in her experience of exclusion, since she mentions it in passing. Fortunately, by early adulthood, Motokane discovers a group of people she does fit in with. A really important skill Motokane describes learning is self-advocacy. In childhood and most of adolescence, she simply goes with the goals set forth by her parents and support team, although she does show some resistance (for example, by vandalizing the communication diary between her aide and her parents). This is often seen as a “behavior”. As she grows up, however, she learns to stand up for what she believes in. Despite her mostly positive experience with behavioral intervention and her mother’s involvement in a pro-cure organization, Motokane is adamant that autistic people should not be “normalized”. She also feels that autistics should be able to find their own voice (and I assume she means this somewhat figuratively, also including non-verbal autistics). This is the main reason Motokane has written the book. 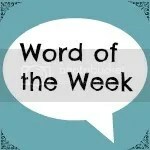 For this week’s Word of the Week, I was briefly tempted to choose “screenless” again. I left for a short vacation with my husband on Wednesday, and took my computer fully expecting to have Wifi at the hotel. Well, the short story is we do have Wifi, but only one device can use the Internet at the same time and we need to go down to the TV room to have any signal. We didn’t find this out until today, so I was a bit frustrated at first. However, since I ended up being screenless for only two days, I’ll go with the bigger picture and choose “vacation”. We drove six hours from our home to southern Germany on Wednesday. Because of traffic jams, we ended up driving for almost nine hours. We planned on going to a Celtic museum in Stuttgart on our way to the Black Forest, but we arrived there just after its closure at 5PM. Now we plan on going there tomorrow on our way back home. On Thursday and today, we went swimming at a large pool. I loved the bubble bath feature. Yesterday, we also visited a mountain and went on a cable car ride up the mountain and then down again after a short walk. Today, we visited a prehistoric village museum near Lake Constance. We arrived just in time for a tour and listened to a very knowledgeable woman telling us all about prehistoric living or our modern-day interpretation of it. My German and English aren’t good enough to remember what she said and translate it correctly. The vacation certainly wasn’t the healthiest of trips I’ve made so far, despite the swimming pool. I ate French fries three times so far, bought at least three bags of candies, and when we were still hungry yesterday night, we stopped at a fried chicken stand where they had the tastiest chicken legs. Then again, my muscles ache from all the walking and swimming. Oh, and now I’m glad I’m not a travel blogger, for I had to look up quite a few words. September is National Apple Month in the United States. One of the writing prompts from Mama’s Losin’ It for this week is to write a post inspired by apples. I love apples, particularly the green Granny Smith ones. I at one point had “loves green apples” as part of my Twitter bio. I also love apple pie, which is what I want to talk about in this post. No, I’m not going to share a recipe, because my apple pie isn’t all that exceptional and you can pretty likely look up the recipe online. Homemade apple pie was often the olnly kind of pie I’d eat. We made it on birthdays every year. My parents now have a big garden in which they have some apple trees, so I’m looking forward to eating apples and especially apple pie when I visit them again. Apple pie is pretty easy to make. It is the only type of pie I can make. I love making it. Unfortunately, the only oven we have at my current institution ward is in a tiny room where it gets really hot if the oven is on. On my old ward, we did have a large oven, and I would make apple pie on occasion. One particular occasion on which I made apple pie I want to share. It was 2008. I hadn’t shared candy or cake or anything with my fellow patients on my birthday. My birthday is in June. At one point, my birthday had long passed and I joked that I’d be making apple pie for the one-year anniversary of my hospitalization as a way to make up for my lack of a birthday cake. That one-year anniversary actually did come up – in November. Now thatdoesn’t sound like too big a surprise given that now I’m institutinalized almost seven years, but at the time I resided on an acute ward where you’re not supposed to stay beyond three to at most six months. I ended up staying htere for sixteen months. I was hospitalized in the middle of the night on November 3, 2007. My actual crisis was on November 2, but I chose November 3 to celebrate the anniversary. I baked a nice apple pie which my fellow patients did enjoy. Since then, I’ve baked apple pie not exactly every year, but almost every year. A few days ago I was talking about the apple pie tradition to a nurse, and she said that when she was a student nurse, at some point an elderly patient had celebrated the fortieth anniversary of their institutionalization. Woha. It’s not like I want to be in this institution much longer, but this makes seven years sound not that long. I haven’t written about autism in a long while. It is mostly because I have been busy writing other things, such as posts chronicling my eating disorder recovery journey and posts inspired by writing promts. I also don’t want to write too involved posts that are unreadable to a large majority of my readers. However, just today, I came across a really interesting post dismantling five myths about cerebral palsy. I am not a total laywoman on the subject of cerebral palsy, but even I could learn from thhis post. So I thought maybe I could do the same on autism. Here are some common myths, some of which even autistic people or parents of autistic children buy into. I did get rather caught up in details I think, but if some of my readers learn something from this, I’m content. 1. There is one single, known cause of autism. Most autistic people claim that autism is 100% genetic. Some people, mostly parents of autistic children, claim that autism is caused by vaccines, pesticides, or other environmental factors. These claims are often politically motivated. The autistics want a genetic cause because it means they are truly wired this way, while the people who claim vaccines or other environmental facotrs cause autism, want to argue that autism is a disease that can and should be cured. The reality is, the cause of autism is unknown. While the vaccine theory has been disproven, other environmental factor theories have not and twin studies show that autism isn’t 100% genetic. Other factors, such as premature birth and pregnancy complications, have been named too. Even if autism were 100% genetic, there are likely more than a few genes that contribute. 2. Autism is a physical illness. Related to the vaccine theory mentioned above, some people believe that autism is caused by “leaky gut”, an inability of the bowel to digest certain proteins that will leak through the bowel wall into the bloodstream and also through the blood-brain barrier. Until very recently, I thought that “leaky gut” is a fake condition propagated by alternative medicine. It isn’t. In fact, there are several conditions speculated to be due to this problem, for which the genes have been located on chromosome 16. The most logical example is Celiac disease, but other bowel conditions (eg. Crohn’s Disease) and in fact neurological conditions (eg. multiple sclerosis) may be partly caused by this problem. Therefore, it is not entirely impossible that autism in some cases may be partly due to “leaky gut”, but this is still just a theory. Research in this area (eg. whether gastointestinal problems are more common in autistics) shows mixed results. If a child or adult with autism has gastrointestinal symptoms, they may feel better after treatment for these symptoms. That doesn’t mean that autism is physical in nature. It could be related to “leaky gut”, but that doesnt’make the condition itself a physical health problem. By the way, there are no treatments so far that solve “leaky gut”. Avoiding gluten and dairy may help, but its effects have not been proven in those who do not have diagnosable Celiac disease. 3. Autism is a mental illness. This is somewhat of a political statement, and so is the stateement that it definitely is not a mental illness. I don’t particularly care if someone says autism is a mental illness, but most people disagree. There is no strict definition of a mental illness (contrasting it with a developmental disability) in the psychiatric manual (DSM-5). There is a definition of a mental disorder in DSM-5, but this includes autism too. There is also a definition of a neurodevelopmental disorder, the category under which autism is classified. This category includes conditions like ADHD, intellectual disability, Tourette Syndrome, and autism of course. This is a similar category to the categories of schizophrenia and other psychotic disorders, obsessive-compulsive spectrum disorders, or any other category within DSM-5. Formal categorization aside, however, most people say that autism is not a mental illness because it is developmental in nature. It is a common myth however, often held by autistics who have had negative experiences in psychiatry, that absolutely no treatment originally designed for other mental disorders, can be used for neurodevelopmental disorders such as autism. 4. All autistic people have an intellectual disability. Autistics span the full range of intellectual abilities. The most pessimistic (if an intellectual disability is seen as a negative outcome) studies show that around 40% of people with autism spectrum disorders have an intellectual disablity. However, IQ is hard to measure in people with severe social and communicative deficits, so those with more severe autism are likely to score lower on a standardized IQ test (such as the Wechsler scales) than their actual ability. Others, particularly those with good verbal skills, may score higher than their real-world functioning would suggest. 5. Autism affects children only. The fact that it is developmental in nature, doesn’t mean that autism doesn’t affect adults. Autistic children gorw into autistic adutls just like for example children with Down Syndrome grow into adults with Down Syndrome. Children and adults with autism may improve in daily functioning, but they won’t become non-autistic. 6. Autism can be cured. Autistics, like people with other developmental disabilities, can learn adaptive skills to function as well as possible in daily life. That again doesn’t make them non-autistic. The most evidence-based intervetnion is applied behavior analysis, an intensive behavioral training. Even this approach can merely teach autistics to act like a non-autistic person in the situations they’ve been trained in. Some people cliam they have “cured” their autistic children with biomedical interventions. I won’t call these people liars, but there is no scientific evidence to support their claims.